Although her appearance on Broadway was limited to only one musical, singer and actress of stage, film, and television Joan Weldon (b. San Francisco, CA, 5 August 1930) had a significant presence in the musical theatre of the 1950s. 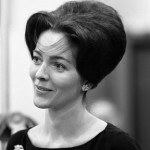 She starred as Marian the Librarian in the original national tour of The Music Man, and played Natalie in the Lincoln Center revival of The Merry Widow in 1964. 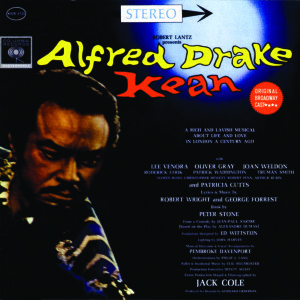 On Broadway she co-starred as Countess Elena De Koeberg with Alfred Drake in Kean (1961). Joan Louise Welton was the daughter of a prominent attorney at the Jeweler’s Board of Trade in San Francisco. When she was six her mother died, and her grandmother undertook the rest of the child’s upbringing. Joan attended Galileo High School, took piano lessons, and at age fifteen switched to voice. She had a job with the telephone company at sixteen, but within a year, without ever having performed in public, she auditioned for the San Francisco Opera Company and was accepted into the chorus, the youngest singer ever placed under contract by that organization. A couple of years later, while singing with the Los Angeles Civic Light Opera, she was spotted by a film producer and given a screen test at 20th Century Fox. Fox, however, was not interested in signing singers at the time. At a benefit party she had the good fortune to meet producer Bill Orr, the son-in-law of Jack L. Warner, who gave her a Warner Brothers contract and altered her name to Weldon. In 1954 she was lent out as a singer to MGM for the big Sigmund Romberg biopic, Deep in My Heart, with José Ferrer and a cast of musical big guns like Gene and Fred Kelly, Rosemary Clooney, Jane Powell, Vic Damone, Ann Miller, Cyd Charisse, and Howard Keel. Unfortunately, her duet with Tony Martin ended up on the cutting-room floor. She felt some relief when her Warner contract expired and was not renewed. Weldon was free thereafter to resume her singing career, first as host of her own television series This Is Your Music (1955), and performing with songwriter Jimmy McHugh (“I Can’t Give You Anything but Love, Baby;” “I’m in the Mood for Love”), but she also managed to fit in three more big-screen features, Gunsight Ridge (1957) with Joel McCrea, Day of the Badman (1958) with Fred MacMurray, and Home before Dark (1958) with Jean Simmons. Between 1955 and 1958 she also appeared in several television series (The Millionaire, Lux Video Theater, Perry Mason, Shirley Temple Theater). Joan Weldon then spent three years in the national touring company of The Music Man as Marian Paroo, opposite Forrest Tucker as Harold Hill. This opened the door for her only appearance on the Broadway stage, as Countess Elena De Koeberg in Kean (1961) with Alfred Drake, for a regrettably short run of 92 performances. In 1963 she went on a national tour of Oklahoma! with Fess Parker, and in April 1964 sang the “If I Loved You” scene from Carousel with John Raitt for the opening of the New York State Theatre at Lincoln Center. 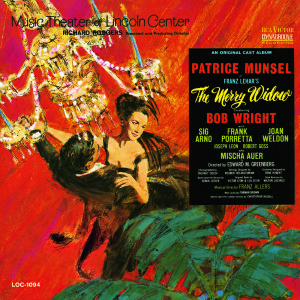 A few months later, during the State Theatre’s first season, Weldon sang the part of Natalie in The Merry Widow with Patrice Munsel, Bob Wright, Frank Porretta, and Mischa Auer. She married Dr. David Podell, an eye surgeon in New York, in 1966; they have one child, Melissa, who is now a fashion executive. Weldon appeared on the musical stage for the last time in a production of Romberg’s The Desert Song in Sacramento in 1980, after which she retired. Tom Weaver interviewed her for his book I Was a Monster Movie Maker (McFarland & Co., 2001), recalling what has been called her greatest contribution to the screen in “the first and best of Hollywood’s radioactive/giant monster movies” (review by Rotten Tomatoes), Them! (1954). Its cast included Oscar-winner Edmund Gwenn, Oscar-nominee James Whitmore, and future TV stars James Arness, Fess Parker, and Leonard Nimoy.